As part of National Influenza Vaccination Week, the Michigan Department of Health and Human Services (MDHHS) is reminding Michigan residents that it’s not too late to get the flu vaccine. National Influenza Vaccination Week, Dec. 2-8, promotes awareness about the importance of the flu vaccine and provides a reminder to get the flu shot for those who have not done so yet this season. Annual flu vaccination is the best way to protect yourself from the flu. “The flu isn’t on anyone’s holiday wish list,” said Dr. Eden Wells, MDHHS chief medical executive. “It is important to get vaccinated now to protect yourself and your family. The vaccine is your best defense against the flu and will help reduce the severity of symptoms if you catch the flu despite being vaccinated.” Flu is a contagious respiratory disease caused by different strains of the influenza virus and can result in mild to severe illness. Despite the fact numerous influenza hospitalizations and deaths are reported each year, last year only 39.5 percent of Michiganders reported receiving a flu shot, below the national rate of 41.7 percent. Typically, those most severely affected by the flu are children younger than 5 years old, people of any age with certain chronic medical conditions, pregnant women and those over 65 years old. According to the Centers for Disease Control and Prevention (CDC), last year’s flu season was estimated to be the deadliest since the 2009 H1N1 pandemic. More than 79,000 deaths were attributed to the flu, 185 of which were children. In Michigan, two children died last year due to flu-related complications. The 2018-2019 flu season is already underway and positive flu cases have been confirmed throughout the central, southeast and southwest regions of Michigan. In addition, influenza-like illnesses are being reported across the state. While flu activity is still minimal, it is important for Michiganders to get their flu vaccine now as it takes about two weeks after the vaccine is administered before the body builds up enough immunity to prevent the flu. 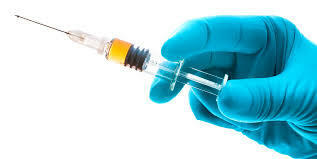 The CDC recommends routine annual influenza vaccination for all persons 6 months of age and older. This year there are many flu vaccine options available, and residents should speak with a healthcare provider about which flu vaccine is best for them. Flu vaccines are available at many locations throughout Michigan, including doctor’s offices, pharmacies and local health departments. To find a location near you, visit Flushot.healthmap.org. Additionally, there are several programs across the state that will assist with the cost of the vaccine. The Vaccines for Children program provides flu vaccine for free to those who are uninsured. Contact your local health department to learn more about these programs. Residents with questions about vaccines, including the flu vaccine, can visit IVaccinate.org. For more information about flu activity in Michigan, visit Michigan.gov/flu.